I woke up this morning to realise it was the first day of June, clearly I don't pay much attention to the date but time seems to fly of lately. I cant keep up with what day it is let alone be able to remember where i'm supposed to be that day or know who's birthdays are when, opps! After reflecting on things last night and okay blubbering my whole evening away I came to realise I'm putting far to much pressure on myself. I always need a motive to get going on a goal for myself. You know how it is the typical 'I'll start my diet on Monday' or the 'New year New Start' phrases. I thrive of things like this it gives me a rush of positivity getting me all ready to sort myself out. So that's what I'm going to do in June, I'm going to give myself a lovely fresh clean new start. No pressure allowed. Most of all I want to start doing some self help (that makes me sound rather crazy) for myself as in allowing myself some well needed chill time in the evenings. I'll aim to run myself a bath, sit down with a book, and perhaps have a glass of wine some nights. I never seem to do anything for just me! My mind never switches off to be honest this is why i'm always so uptight I suppose. I would love for me and Reese to go on a date night, we haven't done that for months upon months. I know that we need it and need to spend some quality time together as we always get wrapped up in life. I have been putting it off for months because I haven't felt like I've been able to leave Penelope. She had a phase of being constantly poorly just one thing after the other, she would be screaming at bedtime, not sleeping unless it was in our bed, and in general she just was not and still isn't 100% settled. I'm going to work on a few adjustments to her routine and hopefully by the end of the month, we can have a date night! Here's hoping. As I have mentioned numerous times now, we are due to move *fingers crossed* in mid June too, so I'm going to focus mainly on packing and setting up our new home for our new exciting chapter. In the flat I didn't really put my own touches into it because of a few reasons really... I moved in with Reese when I was pregnant so didn't want to invade or step on Reese's toes nor did I have the energy to think about it as I was exhausted mainly from work and the new responsibility of maintaining a flat that i'd never had to do before. Since then I just haven't thought about it because we always knew we would be moving onto a new home soon...that's when I see us really wanting to settle. I cannot wait to build and decorate the new house to both our tastes making it a real family home. I'm most excited about Penelope's Playroom more than anything else if I'm honest, I cant wait to do blog posts on it! Also packing is always a good opportunity to have a clear out, packing as you sort through your things deciding on what you want to keep or what you could do without ...that's always refreshing to do. One of the biggest mutual decisions we've made that will take huge pressure of us is that we have decided to not throw Penelope a big 1st birthday party (as such). I was putting huge pressure on myself about party preparations, who i'd invite and whether the house will look okay by the time it comes around. I lost sight of the real concept behind it that being Penelope and what she would appreciate. Those who know Penny personally know that sometimes she reacts badly to people, even close family which is a complete shame as sometimes this complicates what we do in a day and she doesn't fully enjoy herself. But then again it totally depends on what mood she is in. I've been thinking about it alot lately worrying about whether we should risk it or not. I think she would enjoy a smaller simple low key get together rather than a full blown in your face birthday party. I shouldn't really be spending money on too many irreverent but pretty trimmings either because me not returning to work just yet means we are low on funds anyway. We want to spend what money we have on things that will make her happy, I don't think rainbow cups, plates, and party hats are going to do that. Instead we want to take her out for the day on her initial birthday and more importantly spend the money on presents for her to make her smile. We can do all that fantasy pantsy party stuff the year after when she is more understanding of it all. 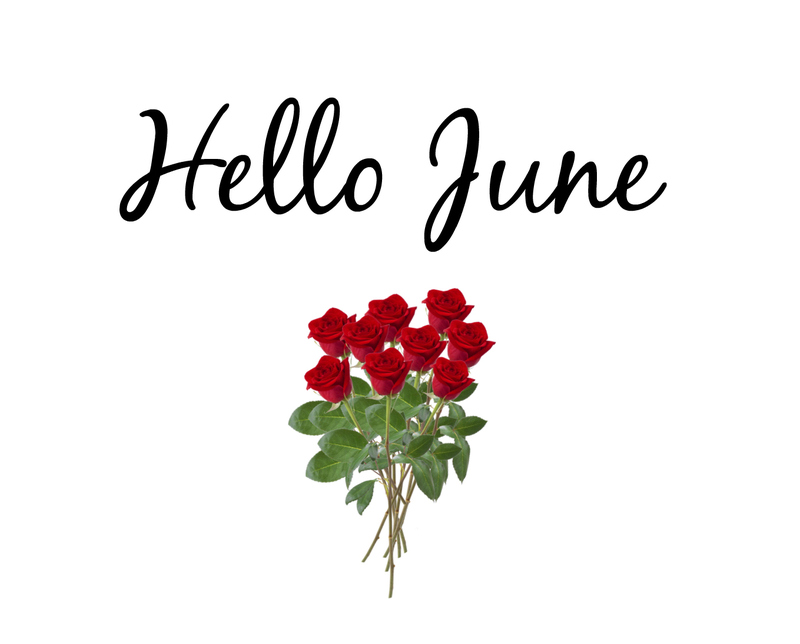 Anyway, I better leave it here before I waffle on forever, but hello June I am so glad to see you and hope that I can conclude the month with a much more positive outlook.